Two styles: Front & 3-sided glass. RAIS Visio 70 F & 70 3S models are both 27.5" in glass width. A simple and discreet frame gives you a better view of the flames. 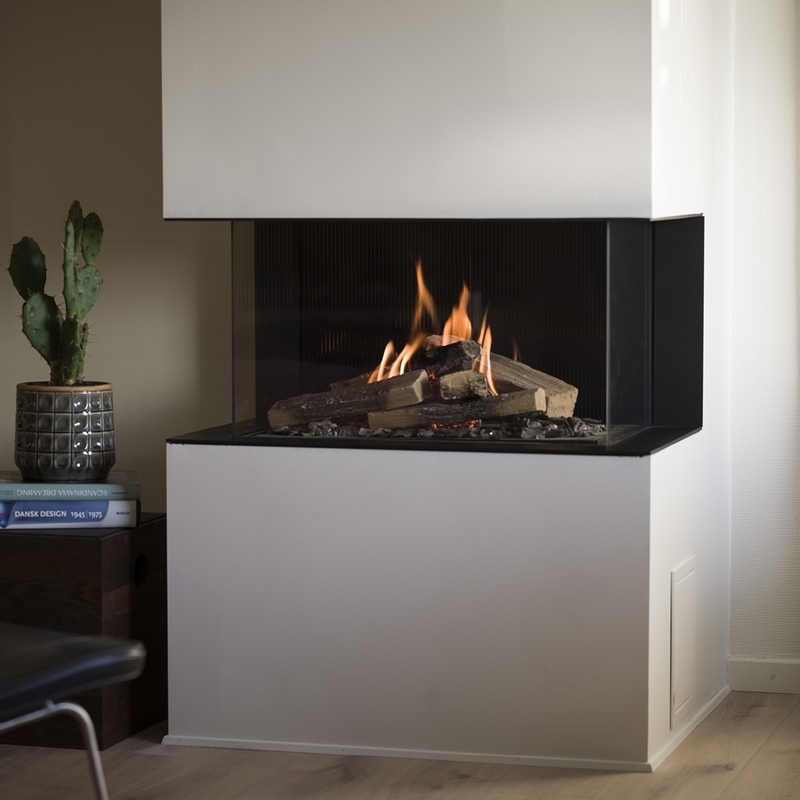 The RAIS VISIO series comes with a double paned, non-reflective glass – no need for a screen , just gorgeous flames. Simply press the remote control, and in minutes you get cozy warmth in your home. Instant heat! The VISIO comes with a black or stainless steel frame. Heat duct-ports and access door included. Standard cooling fan system that can be extended to a quiet space. Available to order now and shipping based on availability.